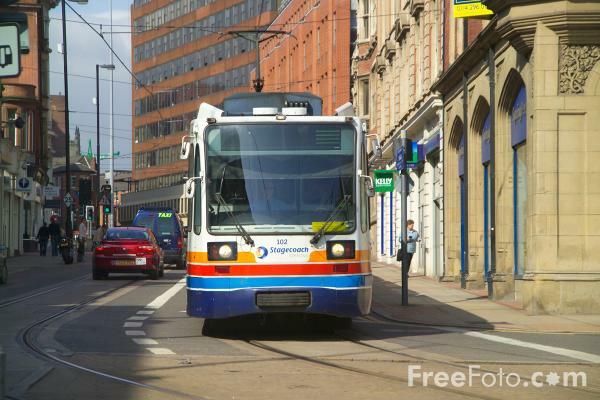 Photograph of a Stagecoach Supertram, Sheffield. The trams serve the city of Sheffield with three light rail routes covering 29 kilometres. The network also links five Park and Ride sites with the city centre. The trams carry over 11 million passenger's each year. VIEW: More images from the category Stagecoach Supertram, Sheffield or taken at the same location or around the same time .